UPDATE: This event has moved to the Aura Lounge. A Wednesday night salsa dancing spot in downtown San Jose, featuring salsa lessons, dancing until 2 in the morning, and a full bar. Some nights feature a live band and/or performances. If you live in the South Bay, the Agenda Lounge is the place to go dancing on Wednesday nights. Located conveniently in downtown San Jose, Agenda has dance lessons every night taught by the talented DJ Mundo and dancing until 2am in the morning. The dancing space at Agenda tends to be a little cramped, but they recently remodeled the Lounge area, making it a little more spacious. Also, if you enjoy a good drink when you go out like I do, the Agenda Lounge has a full bar located conveniently right next to the dance floor. However, this also attracts a lot of club goers and the floor can get a little sticky, which is not so good if you just want to dance. Agenda also occasionally features a live band, which is great if you love live salsa music, but the place gets PACKED whenever they have a band, so get ready for some tight dancing. Overall, Agenda is the best place to go salsa dancing in the South Bay on Wednesday nights. A fun Wednesday night spot if you're in the south bay. At $5, this place is a great deal (be warned though that the price does shoot up when they have the occasional live band) and frequent drink specials definitely cater to the party crowd. As a rule the dance floor is generally overcrowded and sticky, but the music is very dancer friendly. Overall a great place to go dancing as long as you're okay with the slightly wild vibe. The best place in the bay on Wednesday nights, a nice blend of dancers, social peeps, and drinkers :). Good drinks at the bar, Edmundo and Ruby are awesome during their lesson and afterwards. Dj De La Clave is always Spinning great music, and the live salsa music rocks the house the last Wednesday of every month. I am mambo lover and that is only reason I would return to Agenda. Dj De La Clave is my favorite Dj in the Bay Area, but sadly this club has gone down hill. 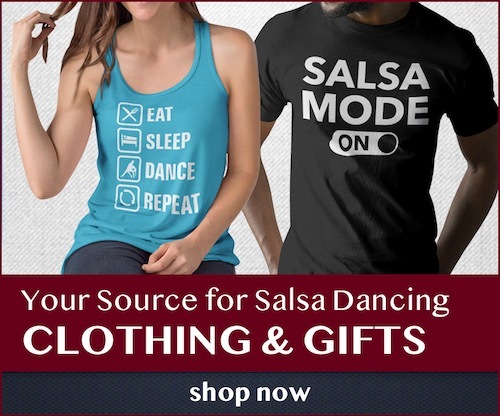 I am an advanced Salsa dancer and I travel the world dancing Salsa (On1 and On2). I have been going to this club since it started to have Salsa Wednesdays (many years now). All my friends and I used to go dancing here every week but we all have noticed that the true Salsa dancers are less and less. There is now more of a “Meat Market” vibe – it remindes me why I never returned to CLUB Miami (when it was around). I guess that clientel needed to a place to go once Club Miami closed shop in Down Town San Jose. – Everytime we go, the dance floor is too packed (you have to wait till after 12midnite for the crowd to thin out – but that only leaves about 1.5 hrs of dancing time – when I go dancing I am there to dance all night – remember I am a Salsero not a “stand there and drink all night clubber”). My female dance partner always complain that they will not return because they get stepped on all night by other dancers and they also get plenty of elbows in the face. – Dance floor is very dirty and sticky (the worst condition for spinning). – Some of the people can be very rude – they do not respect others dancing space. Number one rule for an advanced dancer: Dance in your slot and respect other dancers – you are not dancing on stage you are dancing in a packed dance floor. I can understand the bigginers not being able to stay in thier slot but I see plenty of advanced dancers doing the same thing. This happens at other clubs but it makes it worse when the dance floor is so packed – as it is in this club. If management would only try to keep the people that are just looking off of the dance floor – it would leave more room for dancing. – I always support the club by buying drinks but the worst thing is dancing in a big wet spot from people spilling drinks on the dance floor (and management never cleans the floors). I miss the good old days when the “Meat Market” crowd stayed away and more of the Salsa lovers frequented Agenda. Too far for the good dancers from the East Bay and SF to go to and with the rise of El Valenciano on Wednesday’s, this place has become nearly irrelevant for many. Even dancers in the South Bay go to El Valenciano. However, for South Bay people it’s really the only place to go so the place still gets packed, although the quality of dancers is generally sub-par. Sticky floor, good DJ, okay dancers so I guess the benefit of that is if you are somewhat good or at least look confident, everyone there will think you are super good and your ego may be well fed. Also a spot where some good dancers use their superior salsa skills to pick up beginner dancers who are awed by being swept off their feet on the dance floor. Dj played great classic salsa, and I thought he was a fun instructor. The crowd was a little more urban than I prefer, very inconsiderate of your dance space, taking too much space unnecessarily, uncaring, and even thuggish. The floor is wood; it is bigger than Valenciano in SF – it is very long, and it is on the second floor. It reminds me of small studio where they stuck a bar. It is a little bit of a dive. Most dancers are on 1, many are beginners, more people seem to be there to pick-up than to dance. The air-conditioning worked well. The area does not seem safe for young ladies to walk more than half a block alone, and the neighborhood is very urban – definitely walk in larger groups for safety. Tight place! Lots of dancing, smallish floor but some good dancers and good DJ. Busy place. I always have a good time at Agenda on Wednesdays. For $5 ($10 when there’s the occasional live band) Agenda is a steal. I frequent this lounge on Wednesday nights for a fun night of dancing. Though the floor is small and sticky, the fully stocked bar and good blend of music/dancers make it worth the drive. Street parking is usually easy to find, unless there’s an event (live band/holiday). This place is downhome SJ, nice group of folks who dance at all levels, very multi-cultural, friendly group. Its been there for years. Ruby is a doll ! The drinks are great and there is a nice mix of local Latinos with organic dance moves :-D.